I sent the MLB that tweet. You know, for my Upton error. 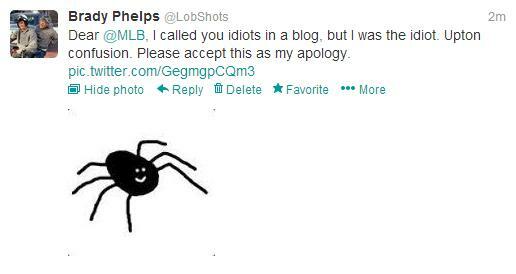 This entry was posted in Baseball and tagged 7 legged spider, upton. Bookmark the permalink.